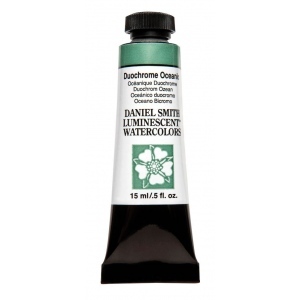 * Our Luminescent watercolors unlike anything ever seen in watercolor simulate the glitter of a watery surface or the luster of mother-of-pearl. * They're made from mica pigment thin transparent particles coated with highly reflective metal oxides. * Duochrome watercolors alternate between two distinct colors depending on the reflective light.